Welcome to Sultaneantiques.com an American Company with a reputation for quality high end furniture. Homes of today are personal expressions of who we are. Therefore the selection of home furnishings has never been more important. For over twelve years Sultan has been recognized as a leading supplier of high quality elegant furniture. 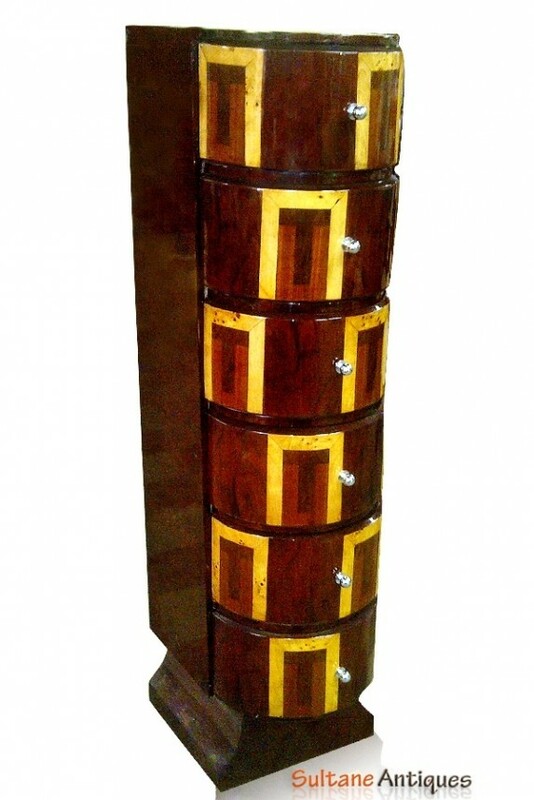 High and sleek Chiffonier - chest of drawers made with GORGEOUS walnut . 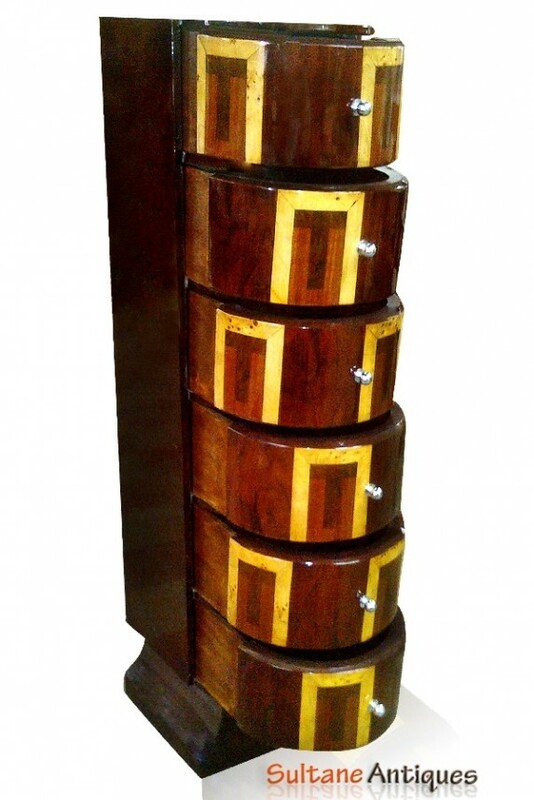 This is an example of the beauty and originality of the Art Deco style at its best. 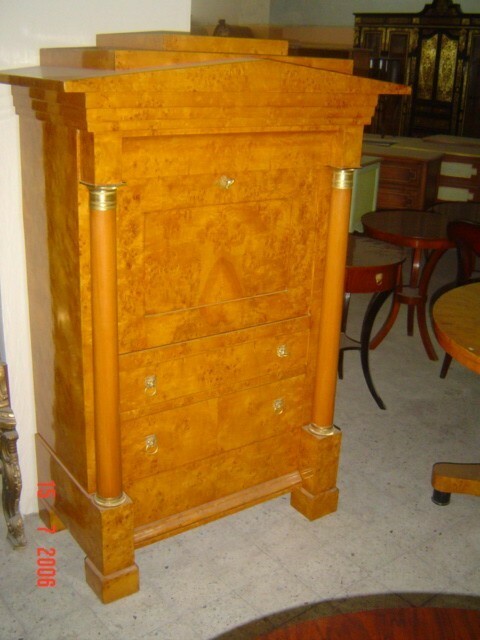 Sumptuous Large Vienna Biedermeier style maple Desk.